Ownership of investment property in San Diego can be a rewarding venture. However, as with all investments, a return is never guaranteed. 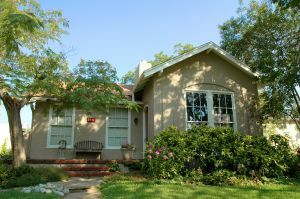 It’s important to evaluate the property’s value up front factoring in: the property’s relative worth compared to alternatives; the market value of rental income in the geographic area for similar properties; the property’s potential for appreciation; management costs; and potential liability and tax implications. This article focuses on the choice of business entity that best protects investors from liability and negative tax implications. Whether or not you already own investment property or are considering purchasing investment property, choosing how to structure your ownership is crucial. Consultation with an experienced San Diego business lawyer and a real estate professional are the best ways to maximize your personal protection. There is a reason the prevailing wisdom favors the Limited Liability Company (“LLC”) as the best form of ownership in California for investment properties. California LLCs are relatively flexible business entities that have proven particularly beneficial when it comes to ownership of investment properties. First, LLCs allow for pass through taxation avoiding the double taxation associated with C-Corporations (C-Corporations are taxed first on their profits and taxed again on the profits shareholders receive as dividends). Second, like most formal business entities, LLCs provide personal protection from the liabilities associated with an investment property. A member’s personal assets are protected from claims against the LLC. Personal ownership in an investment property or ownership as a partnership leaves the owners vulnerable to liability for accidents that occur on the property. Liabilities are often extensive and can exceed insurance policy limits, particularly where permanent injury or death is involved. S-Corporations are a tempting alternative to the LLC, and in some business contexts the S-Corporation may make sense. In addition to liability protection, qualifying corporations that make an S-Corporation election with the Internal Revenue Service also benefit from pass-through taxation. However, S-Corporations lack the flexibility that LLCs offer. To maintain S-Corporation status, corporations must be domestic, have only one class of stock, distribute profits and losses in proportion to each shareholder’s ownership interest and cannot have more than 100 shareholders who are natural persons and U.S. citizens. LLCs, on the other hand, allow for unequal allocation of income, deductions and losses. Members can choose how profits are allocated regardless of each member’s contribution or level of management responsibility. This is especially convenient for family owned investment properties or where one owner will be more actively involved in the management of the property. Members of an LLC can also be a corporation or other LLC. In addition, if an S-Corporation transfers property to another entity or sells a property to another entity in exchange for another property, it immediately incurs a capital gains tax. These transactions, if done properly, can be tax free for LLCs. A Limited Partnership (a partnership with one general partner and one or more limited partners) can be as flexible as the LLC, offers the same individual taxation as the LLC and provides liability protection to its limited partners. However, the general partner remains on the hook for the debts and liabilities of the partnership. Thus, in the real estate investment context, there is little reason for a general partner (usually the person most involved in the property’s management) to prefer a limited partnership over an LLC. Given the LLC’s flexibility, there seems little doubt that in most cases the LLC is the better choice of business entity for real estate investments. The managers are free to structure the LLC in just about any manner they choose much like a partnership while simultaneously retaining liability protection. For those that own multiple investment properties, consideration should be given to forming separate LLCs for each property or for groups of property to reduce the risk of spill over liability. If someone is injured on one property resulting in a multi-million dollar damage award, the equity in all other properties owned by the same LLC is at risk. This can be especially costly where the injury occurred on a less valuable property (in terms of equity). Assume for instance that the property where the injury occurred had $200,000.00 in equity, that insurance on the property had a policy limit of $2,000,000.00 per occurrence and that the damages awarded at trial exceeded $3,000,000.00. If the LLC owned a second property with $1,000,000.00 in equity, the second property would be subject to a lien. Of course, too many individual LLCs can create its own logistical problems including multiple annual minimum state franchise taxes. In such cases, consider grouping properties into single LLCs based on similar equities. Consult a San Diego real estate attorney and/or CPA for further guidance in choosing the right business entity for your real estate investments.